Delicious Italian Zesty Rosemary Bread made with soft flour “00”. 2. Oil and lightly dust the loaf tin with flour. 3. Mix together in a bowl the flour, baking powder, salt, sweet potato, Parmesan, rosemary and lemon zest. 4. Mix the buttermilk, lemon juice and butter and stir into the flour mixture. 5. 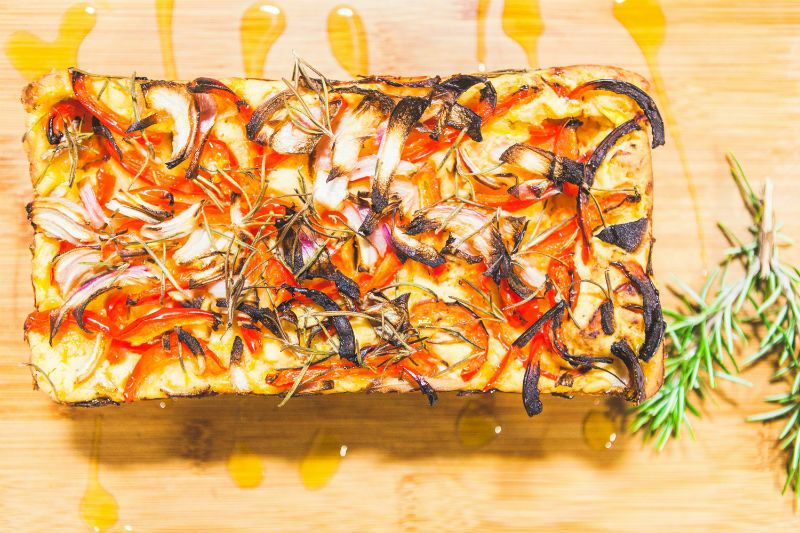 Spoon the batter into a prepared loaf tin and garnish the top with the Rosemary, onions and peppers. 6. Bake for 45-55 minutes or until a skewer inserted into the middle of the loaf comes out clean. 8. Serve sliced with lots of butter.